Make this anytime, but especially when temperatures soar and you need the ultimate refreshing cocktail. 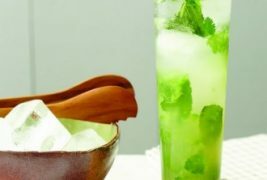 Don’t be tempted to leave out the fresh cilantro – the herb combination of mint and cilantro with the cucumbers, lime and vodka makes this cocktail addictive. This cocktail first appeared in an issue in Women’s Running magazine. The key to this delicious mojito is sweet-tart taste of juicy strawberries and fresh squeezed lime juice rather than bottled. All you need is a muddler to make this refreshing, Vitamin C-packed cocktail. Between the strawberries and limes, you can load up not only on Vitamin A and C, but also Vitamins E and K (good for ), calcium, folate, potassium and B-vitamins. 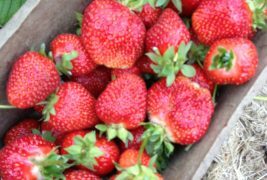 As an added bonus, the vitamin C in strawberries is needed to produce that happiness neurotransmitter seratonin. 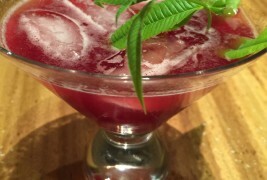 To celebrate the launch of this new website on Feb. 21, 2015, the cocktail created was named after the ingredients on hand and the talented web designer, Kathy Forsythe. Most of the great photos on this site are thanks to photographer Alison Shaw. Unfortunately, she was not on hand to take this photo. 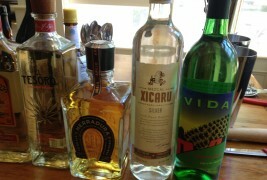 It was difficult to choose a favorite cocktail from Booze Epoque’s tequila tasting class this past summer here at the West Tisbury Kitchen Lab. For fans of grapefruit, like myself, this one is bracing and delicious. The cocktail duo behind Booze Époque (link) offers tasting classes and cocktail specialty classes here and in the Boston area such as Creating A Signature Cocktail; Cocktails and Literature; and Basic Bartending Skills.